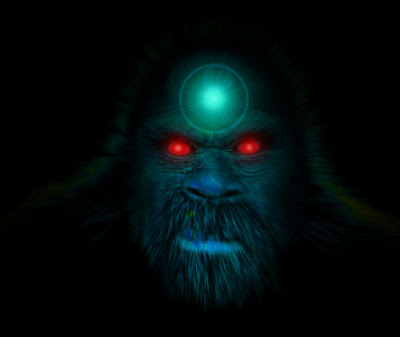 There's a lot of talk, or should I say whispers, about bigfoot "zapping" people. It is something that has happened in one form or the other to several, if not quite a few, people in the bigfoot community. So what is "zapping" exactly? Why is it a taboo subject? If we're really seeking the truth about these creatures, shouldn't we be open minded to any and all possibilities. Well, no, not exactly. But I'll get to that later. Right now our focus is zapping. What is it, and is it something to be concerned with? I guess it would all depend on who you ask. There are no experts on zapping, but since I have experienced the phenomenon myself,(which you can read about by clicking here) I feel I can adequately speak on the subject. First thing is first. When speaking about "zapping" we must first learn what is considered as being "zapped". The true definition in my opinion is being in an area where you believe there may be bigfoot in close proximity, and suddenly and without reason feeling several physical symptoms; Possible headache, lightheaded, nausea, overwhelming fatigue, dizziness, lack of breath, possible tightness in chest. There are also mental symptoms. Confusion, missing time, irritability. The overall feeling is horrible, and ultimately forces you to leave the area. Which upon leaving the general physical area seems to suddenly and without reason alleviate all symptoms. Thus left with the only possible cause being you were "zapped" by a bigfoot. So how does a bigfoot accomplish this? Well, there's a couple of possibilities. The most common of theories is infrasound. They are capable of producing and focusing sounds below the audible range of humans that plays havoc on our bodies. 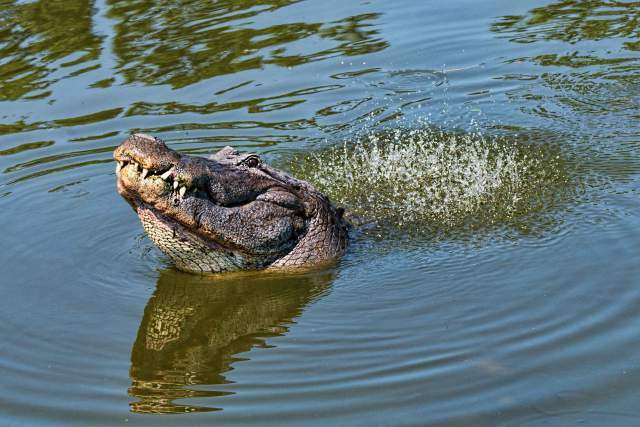 Other animals can do this, especially larger mammals. While the symptoms that are typically described do match physical symptoms that are experienced when subjected to infrasound, I do have a couple of issues with this particular theory. Sure, we know that other animals produce and use infrasound. We also know that at times their infrasound can have an effect on us. In fact the reason we know elephants use infrasound was because it was first noticed by a zoo keeper. However, other than the theory that tigers use it to stun their prey, giving them ample time to attack, every other case of animals using it is for communication of some sort. 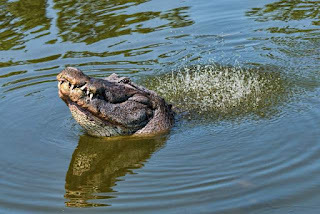 Alligators use it as part of their mating ritual, but it seems all other cases it used for long distance communication. Which it is perfect for. Physical objects have close to no effect on infrasound waves, which allow them to travel for extremely long distances. Bigfoot in all obvious senses is a primate, not a predator, so if it does have the ability to use infrasound, it would most likely be for communication. Not some sort of weapon. 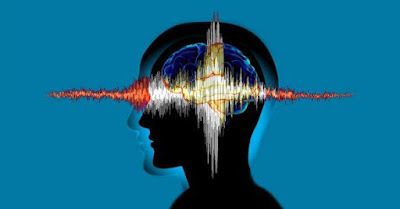 Another issue I have with the infrasound zapping theory is that other than a few instances where it was reported by groups of people, it seems to only effect one person at a time. If sound was the culprit, how would the bigfoot focus the sound at only one person. Sound waves travel in 360°. They radiate out from the source without some sort of physical barrier. If infrasound was the cause, it would effect anyone and everyone nearby, not just one single individual. Another problem with that is also the intensity and duration it would take before it could physically have an effect on someone. 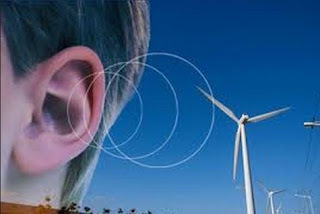 The only infrasound that effects humans physically in such an unpleasant way is generated by mechanical devices, not animals. You may notice it, but it would take an extremely concentrated amount before you would feel sick. Your body is mostly liquid. The fluids in our body that surround our organs would act like a barrier, absorbing the waves of infrasound before it could reach our organs and vibrate them to cause the physical symptoms. A more plausible theory in my opinion is that if bigfoot are the cause of these sensations, it is a result of some sort of chemical reaction. Perhaps bigfoot has a specialized gland that releases some sort of pheromone, etc. that we can not smell, but our bodies react to it regardless. 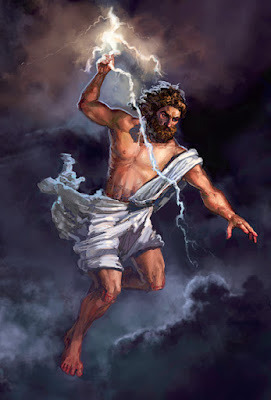 Perhaps this would be a defensive mechanism with the bigfoot that occurs when they are nervous, since there are no reports of anyone being preyed upon whole they are experiencing "zapping". Specialized glands and chemical reactions are common in the mammalian world. In fact they are extremely abundant in primates. 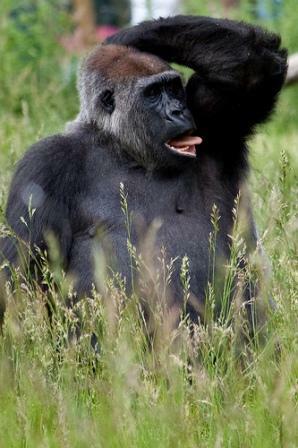 Adult male gorillas have a specialized gland in their armpits that release a "fear smell" to warn others of aggression and excitement. What are the general symptoms of fear? I'd say pretty similar to the ones expressed by those who have been "zapped". Perhaps the bigfoot have something similar that we react to. Depending on the current atmospheric conditions, as the chemical drifts through the air, it is highly possible only one person would inhale a concentrated amount of it causing the reaction. Those are possibilities based on known facts that exist in the world we live in. Items that are indeed somewhat unique and specialized, but do exist in the animal kingdom, and perhaps as time advances we will learn that they exist to an even greater extent than we currently realize. We may even discover new abilities certain animals have that we aren't currently aware of. What if it isn't caused by bigfoot at all? What if it is one of the numerous possibilities that have nothing to do with a large mystery primate? What if the only connection is the subconscious need for the human brain to look for and make connections that aren't really there? The same part of our brain that sees faces and images in the clouds. Or bigfoot faces in leaves and shadows. The described symptoms match those experienced when subjected to large amounts of infrasound, sure. They also match symptoms of hunger, fatigue, dehydration, lack of sleep, anxiety, or just plain old fear. Things which commonly exist and are easily plausible to occur during a camping trip or bigfoot outing. Especially when individuals aren't thinking about those things, which would also explain why they wouldn't realize any of those being the cause. As a person who has been clinically diagnosed with panic disorder, which is a type of anxiety, I can tell you not only does it have the same symptoms, but it can also occur randomly and seemingly for no reason. Granted, the panic attacks did not occur noticeably until years after I was "zapped" but could I have had a random attack all those years before? Of course I could have. Did leaving the area actually make the symptoms vanish, or had enough time elapsed that they subsided on their own coincidentally? After dealing with them for so long, if I'm in a situation that triggers an attack, all I have to do is leave the situation, and it goes away as quickly as it came. The brain perceives the "threat" as over. Sound familiar? I've also noticed that over time the list of symptoms felt by victims of "zapping" has evolved. As people hear these stories of others being zapped, they expect it to happen to them. If they think a bigfoot is near, whether it is or not, they may feel the symptoms they've heard described because their brain expects them to. We end up with a situation where individuals associate anything they feel out of the normal with bigfoot if it happens to be experienced while in the woods. While I may feel or think a bigfoot may have been nearby during my experience, I do not know it as a fact. I never saw a bigfoot. 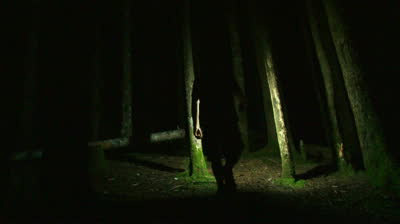 Noises from unknown sources in the woods at night are just that, noises. All I can do is strike my experience up to an experience. It is not something I'd really associate directly with bigfoot. It's interesting, it's noteworthy, but it is inconclusive. I've never heard anyone speak of a time where they physically observed a bigfoot as it "zapped" them or anyone else. Similar experiences shared by individuals doing similar things. However, if we were all fishermen, would we relate these experiences to being zapped by fish? It's the same concept here, yet individuals are all too willing to instantly associate the two, zapping and bigfoot, with little to nothing to base it on. I gave several possible causes for this phenomenon, but there are actually many more that I didn't list. Infrasound for instance can also be caused by geographic features and environments. Such as wind blowing through a valley, or an underground river flowing. Earthquakes, whether we can feel them or not, also produces infrasound. Regardless of what the reason or cause behind it I have given, you'll notice I have not offered any paranormal or supernatural abilities as the causation. No mind bullets. No Jedi mind tricks. No multi-dimensional vibrations. The reason for that is simple. Jumping to conclusions does nothing more than impede education. There's no reason for it. Therefore I find it extremely ridiculous to jump to a conclusion that goes beyond possible answers that are already proven and known to exist. Lightning could possibly really be the product of Zeus raining down his disappoint in mankind, but it's probably just the discharge of static electricity in the atmosphere. Conclusions are reached through observations and known facts, not imagination and wishful thinking. I've heard a quote from John Green I believe that sums it up best. "Do not answer one unknown with another unknown." Or something to that effect. By writing this I by no means intend to take the experiences of anyone away from them. As I stated, I believe I have gone through this situation myself. It is very unpleasant to experience, and can be very confusing to understand. I've reached my conclusions after years of study and thought behind the phenomenon. All I would recommend of anyone is to allow the evidence to lead you to your own conclusions, not allowing your conclusion to lead you to evidence.